A browser extension is a small software plugin, which extends your browser’s’ performance. Instead of installing dozens of apps on your device, you can just add small extensions to your browser. However, you may want to delete an extension because you do not need it anymore. In this post, we want to highlight two ways to uninstall the EasyPDFCombine plugin for Chrome on a Mac. How to uninstall the EasyPDFCombine extension from a browser. 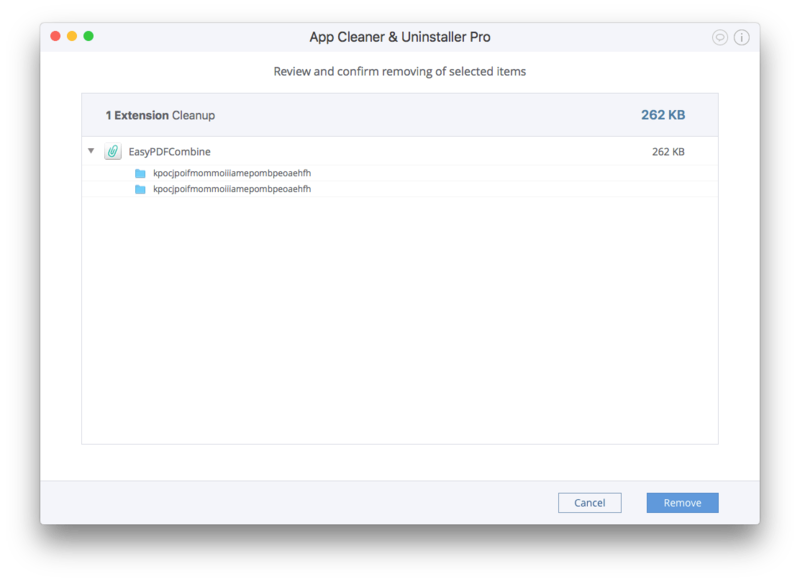 How to uninstall the extension using App Cleaner & Uninstaller. EasyPDFCombine helps you to merge multiple PDF files in the Chrome browser for free. 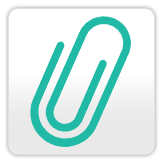 Once being added, you will see a turquoise clip icon in the Chrome menu. To use it, just click on the EasyPDFCombine icon, add several files in the window that appears, and create a new combined file. Then you can download, print or share this new file. We want to show you two different ways to remove EasyPDFCombine from a Mac. 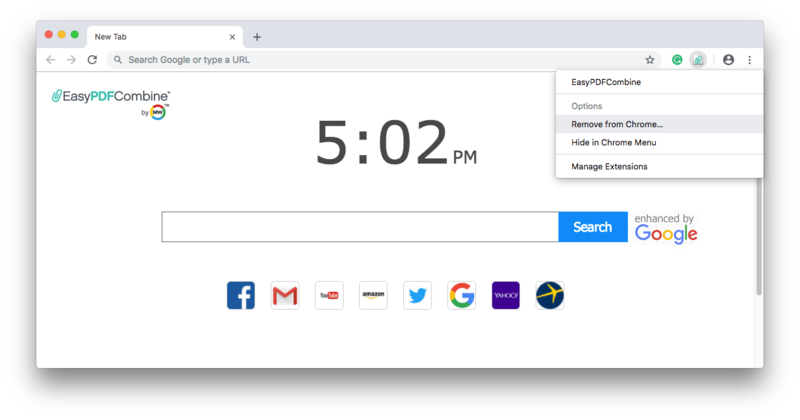 Using the first method, you can delete the Chrome extension within your Chrome browser. 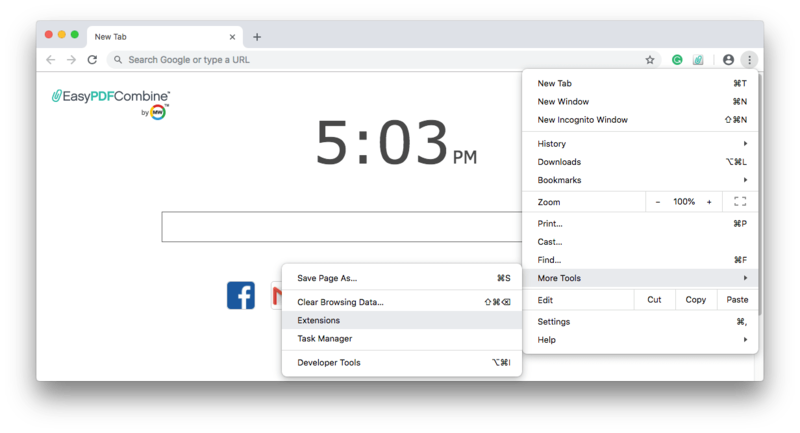 However, using the second method allows you to remove not only browser extensions, but also all other extensions on your Mac and even more. Click on the three dots icon on the right side of the Chrome menu. Select More Tools → Extensions. Find EasyPDFCombine → Click on the Remove button → Confirm the deletion by clicking Remove. Also, you can simply select the EasyPDFCombine icon in the Chrome menu → right click on it→ select Remove from Chrome. This method requires using a third party application – App Cleaner & Uninstaller. 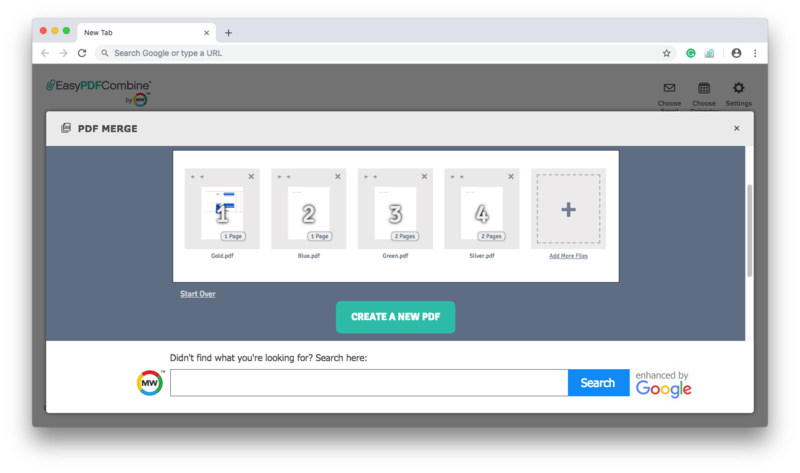 It is a free software tool that helps to remove browser extensions and other Mac plugins, such as Launch Agents, Login Items, Installation Files, Screen Savers, Preference Panes, Internet Plugins, and Widgets. Besides that, it uninstalls applications on your Mac correctly and entirely. This app is very handy for managing all apps and extensions, for disabling or deleting them entirely with just one click, and for troubleshooting the reason for low Mac performance. Select the Extensions tab → Web Browser Extensions. Choose EasyPDFCombine and click Remove. Overview the selected items and click Remove to confirm the action. 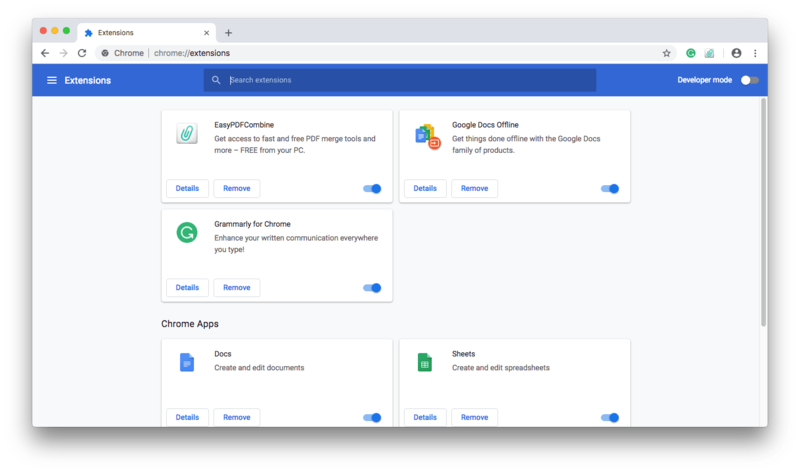 Uninstalling a Chrome extension is not that difficult, though deleting several extensions from different browsers using one app is much easier. 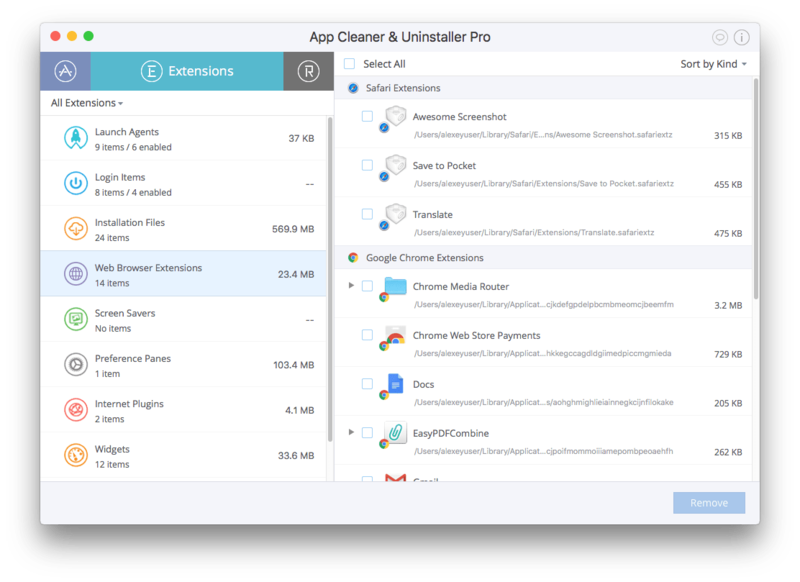 App Cleaner & Uninstaller is a software tool that helps to manage your Mac productivity. Download it for free to see which apps and extensions you have, and to clean up remains on your Mac. Upgrade to the Pro version for $9.99, which allows App Cleaner & Uninstaller to delete extensions and uninstall apps on your Mac completely with just one click.